Stop fighting and make nice! 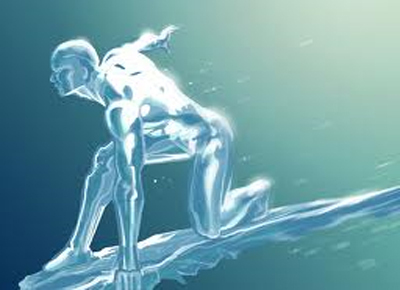 Or Iceman will make ice! Okay lame, I know, but Im still making you look stupid. Robert "Bobby" Louis Drake was born to William and Madeline Drake in Port Washington, Long Island, New York. he grew up as a normal boy but soon noticed there were times he would be cold and unable to warm up. On a date with his girlfriend Judy Harmon the town bully decides to attack him and tries to harm Judy so pointing a hand at him the boy is frozen in a block of ice. The town learns of what he had done and riots against him. The sheriff locks him up for his own safety. Charles Xavier hears of his plight and sends someone to help him escape. Offering him to come with him, Bobby disagrees and the pair fight. The mob catches up with them getting ready to string them up when Xavier appears altering their memories to forget. After speaking with Bobby's parents they encourage him to go to Xavier's school for gifted youngsters. On arrival Bobby was rather amazed at how nice the school was and eager to learn his way around. Of course many of the girls made him nervous and trip over himself at first but his confidence grew around them. He did well in class but failed to work towards the potential of his powers. 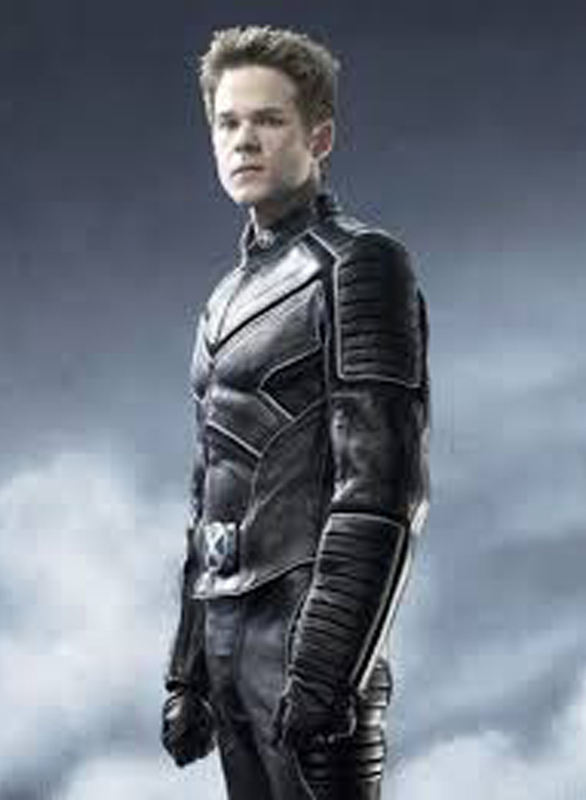 Ms Frost asked him into her office and showed him what the true depth to his powers can grow to be. He finds this cool but is still unsure if he will be able to perform in such great lengths or how this power will be useful to him in the future. Bobby likes to talk and at times can do so inappropriately. When nervous he can talk randomly about anything and annoy allies or enemies. 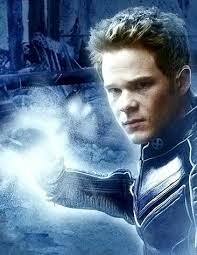 He wants to get through Xavier's school by graduating and learning how to control his powers. 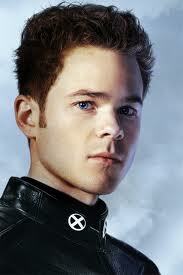 He would like to maybe go further to get a college degree or even become part of the X-Men team. 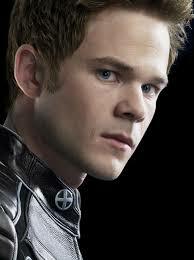 He wants to learn to control his powers to not endanger those he cares about by accident. He doesn't want others to have to be afraid of what he might or might not do to them. When is comes to facing physical dangers he is strong and willing. He is even strong enough to face up to bad situations and admit when he is wrong. Quick with a quip or joke in any situation even if it might not be appropriate at the time. Bobby can come up with amusing things to say to cut through a tense situation. 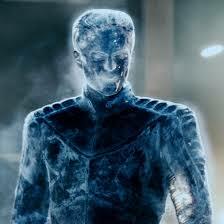 He can control moisture in the air to freeze it to solid ice and form it into anything he wants. He can make ice into shards to send at an enemy or as a means of travel. Of course what he can do depends on his current state, if he is tired or hungry it can be weaker lest he is well rested its stronger. At peak condition he can do this for about eight hours. Freezing the moisture in the air he can make an ice slide to help him travel up to speeds of 75mph. He must be in ice form to accomplish this and depending on the moisture in the eviroment depends on how long it stays. In hot weather it will melt quickly where colder weather it may stay longer. Unlike his organic form the slide can break easily. 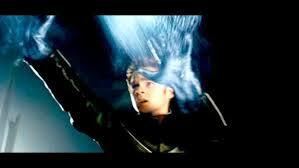 Bobby can form spears of ice in different lengths to use as weapons. They can be thrown at those without protection and he can even use them for melee attacks. After a while they do melt and depending how strong he makes them some can shatter on the target making splinters on their form. They are best against unarmored foes being able to penetrate flesh with impaling, cuts, scrapes, and etc. With enough thrown force they can go through regular glass cracking it or even making it shatter, plastic can be dented or cracked, armor depends on the make of it. Weaker armor can be dented much like a car that gets pelted with large balls of hail, tougher armor would cause the spears to crumble. Bobby can encase his body in ice. It is hard against many weapons and if it does shatter he can reform himself. In this form he can pack a powerful punch and be extremely cold to the touch. The ice around him does give him some protection against concussive force and projectiles. It can withstand a 9mm bullet or two, but cannot withstand a barrage of gunfire. It can also withstand about 50 lbs. of blunt force. Bladed weapons typically bounce off. In his ice form, he is able to use the moisture in the air to form spikes, shields and his own projectiles such as spears, shards, snowballs. This isn't a form he can just remain in forever. Maybe about three hours but he will have to go back to his natural form to eat and rest. Do you want to build a snowman? Bobby can at least make snowballs and throw them at targets as distractions or for fun at others. They can be packed tight to really hurt or as light as snow depending on the need. He is a student at Xavier's and has access to whatever students can get too. He has staff and others he can train with as needed. Bobby has played baseball back in high school and even for fun at Xavier's. He likes to keep himself in top shape. This means running, weights, and swimming laps. 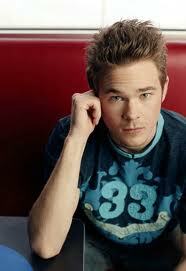 Plus he likes playing basketball, baseball, tennis, and other sports. 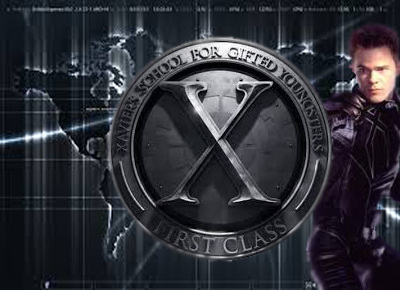 Bobby is gaining training in combat at Xavier's School. He is learning hand-to-hand but also how to utilize use of his powers. Snowballs, iceform, shard throwing, and even how to make the ice slide work better to his advantage. Bobby is rather skilled at ice skating. Light on his feet and quick he can even do a few tricks to show off if he feels the need. Bobby can not only speak English but he is fluent in Spanish. Bobby can utilize moisture in any climate but in real dry/arid climates it is harder to do so. Nothing he makes lasts long and the dryness can weaken him. If he is already weak and exhausted he is useless in such areas. 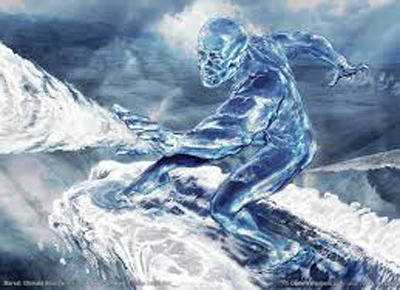 Vunerable to heat and fire attacks these can weaken him plus melt his ice form or anything ice created by him. Heat and fire gives him 2x the damage. If asked to do something he wants to know the reasoning behind it before following along. Bobby has great potential but lets fear keep him from reaching it. Many of his powers are not yet in his control. Xavier pushes him to develop more control by learning through his mistakes. He is still considered a minor and has to have adults make important decisions for him. He shows that he is still a bit immature to staff and his classmates much of the time.